The Orange County Farm Bureau recently held its annual Membership Dinner at the Central Florida Fairgrounds, an event that recognizes the contributions of local farmers and ranchers in the region. 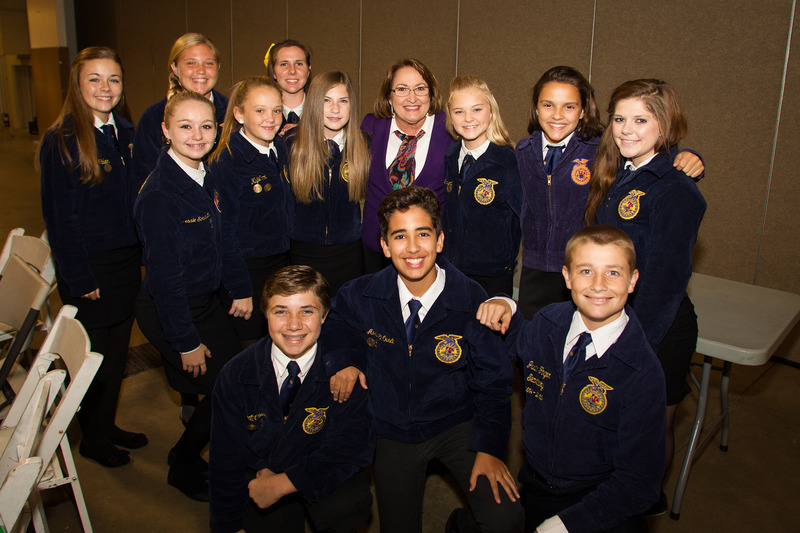 Orange County Mayor Teresa Jacobs was honored as a special guest and spoke about importance of the agriculture industry at the event. Executive Director of the Orange County Farm Bureau Bobby Beagles said Mayor Jacobs has been a friend of Central Florida’s agriculture industry since she was a commissioner. Before her election as Mayor in 2011, Mayor Jacobs served two terms as an Orange County Commissioner, from 2000 to 2008. The Orange County Farm Bureau is part of Florida’s largest general agricultural organization, the Florida Farm Bureau Federation (FFBF). FFBF was founded to promote and protect the agricultural interests of farmers and ranchers engaged in the production agriculture. Florida’s farmers and ranchers responsibly provide an abundant food supply using Florida’s natural resources. Over 155,000 jobs in Orange County are related to agriculture, according to a recent study by the University of Florida. The study shows that nearly 18 percent of Orange County residents work in an agriculture-related field, including those producing and processing food. Photos from the Orange County Farm Bureau’s Membership Dinner may be found on Flickr for use by the media.